Rouge breeders gathered for one of the biggest sales of Rouge sheep seen for some time at Borderway, Carlisle at the annual show and sale on behalf of the Rouge Sheep Society. This included the dispersal sale of the adult portion from the Broadwood flock for David Jane of Bridgewater. Topping the sale at 880gns was shearling ram from David Jane, Broadwood Hunter, a substitute entry to the original catalogue. 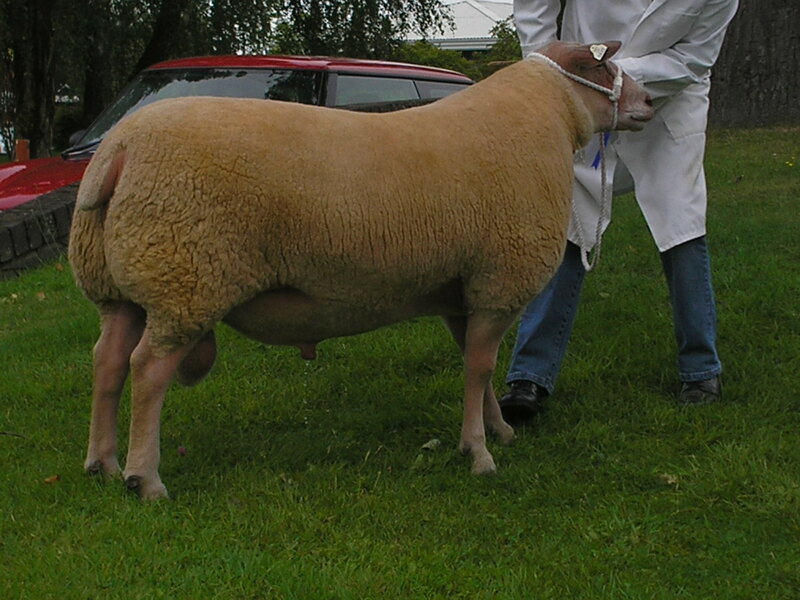 Sired by the noted Garlic Footprint ram and bred from a Broadwood Rocksolid sired mother, Hunter was sold to J Charlton & Sons of Cleator Moor, Cumbria. 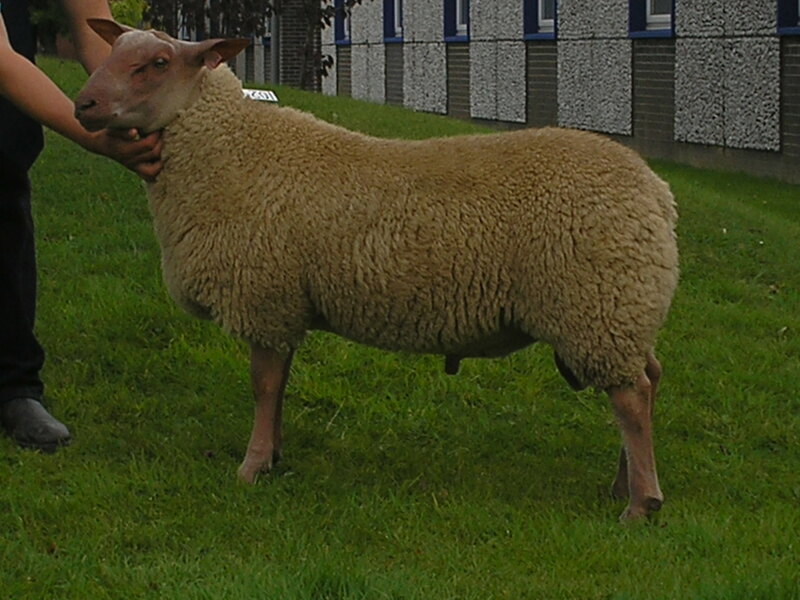 At 800gns was another shearling ram, this time coming from the Knighton flock of Percy Tait based in Worcester. This home bred ram, a son of Knighton E1 and out of a Happy Home bred mother, he was knocked down to SA & VL Morris of Craven Arms. Topping the Romer pen of shearlings from John Lloyd and Elizabeth Lee was a February born ram at 710gns. Romer Harchibald, a son of Elagh Action Man and out of Wrights Bountiful, has had a successful show season earlier in the year winning 4th prize at the Royal Show and is full brother to the reserve male champion at the Royal Highland Show 2008. Harchibald was successfully bought by local enthusiasts Messrs Dodd of Temple Sowerby. 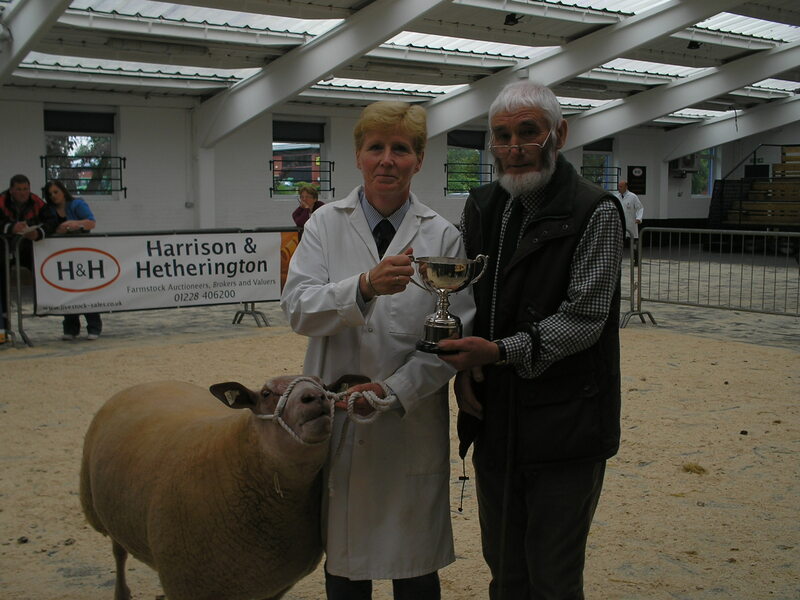 The highest female price of the sale came from the Broadwood flock dispersal of ewes and gimmers for David Jane. At 500gns, David’s champion show ewe Broadwood Evita, a daughter of Carscreugh Kingpin, caught the eye of many breeders with her shear size of strength of bone. 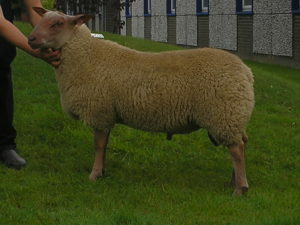 She was sold to fellow breeder James Redfern to join his Redfern flock based at Leek, Staffordshire. James continued his purchases with selecting another two sheep from the Broadwood flock, the first at 480gns and the second at 420gns. The first was a three shear ewe, Broadwood Forgetmenot, a daughter of Broadwood Dynamo and going back to the noted imported sire Bruiser on her mothers pedigree. The third purchase for Mr Redfern at 420gns was a shearling gimmer, Broadwood Hilda, sired by Red Alert and bred off a Broadwood Dynamo sired mother.